Back pain is something that will affect all of us at some point during our lives. Whether we pulled a muscle from lifting something, exerted ourselves by exercising too much, or simply slept wrong, back pain can be an issue that prevents us from enjoying our lives to the fullest. Unfortunately, back pain only tends to get more severe as we get older. This means that we have to be more and more cautious about how we treat our backs so we don’t end up hurting ourselves more than we have to. Fortunately, there are a lot of ways to manage back pain that don’t involve running to the doctor to get pharmaceuticals. Not only are these drugs extremely powerful, but a lot of the time they’re quite addictive and can cause serious withdrawal issues. In this article we’re going to talk about some of the best natural remedies to help you manage your back pain. The combination of lifestyle choices, exercises, and herbal remedies and supplements will help you ensure that you only experience the minimum amount of back pain. CBD, or cannabidiol, is one of the most promising and powerful medicines that has emerged in recent years. CBD comes from the cannabis flower, and many people were at first worried that this substance might be intoxicating. This isn’t the case. THC is the compound in cannabis that leads to intoxication. CBD, on the other hand, provides all of the medicinal benefits that THC is known to provide without causing any of the intense psychoactive effects. One of the things that CBD is most commonly used for is treating chronic pain. Interestingly, it’s not just able to treat physical pain – it can help to treat neurological pain, which is often difficult to treat with traditional medicine. Whatever the case, CBD will certainly help you manage your back pain. It can be found legally in many head shops and hemp shops, and in areas where medicinal marijuana is legal, it’s possible to get a doctor’s prescription for CBD. Cayenne pepper, and other chili peppers, contain an active ingredient known as capsaicin. There are a couple ways by which capsaicin can help people manage chronic back pain. First off, capsaicin is a powerful anti inflammatory compound. When used topically, it can help to reduce the pain and discomfort associated with inflammation and arthritis. Just make sure not to get it in your eyes! The second interesting thing that capsaicin can do is help to reduce your pain tolerance. When you eat spicy food, there is a chemical reaction on the tongue that causes the brain to release something known as substance P. Substance P is the compound released when you experience pain. Hot chili peppers aren’t actually hot. That is, they don’t burn you. They just trick your body into thinking that you’re being burned. However, the more hot chili peppers you eat, the more of a tolerance you develop to substance P, and that can help you improve your overall pain tolerance. 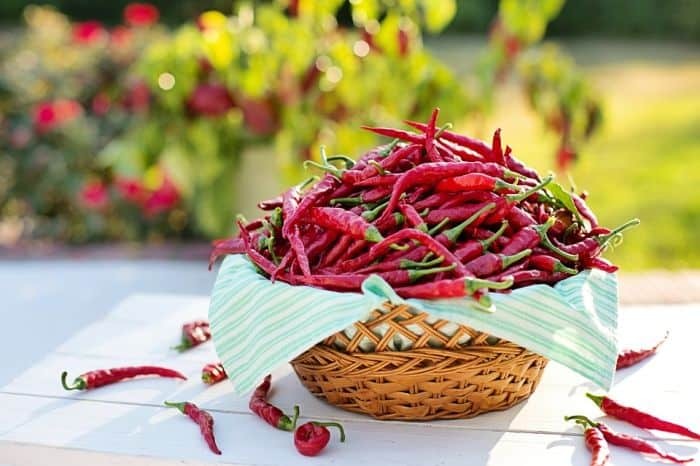 Cayenne peppers and other chili peppers can be found at grocery stores. Extracts and supplements with chili powders can be found in pharmacies and health food stores. Curcumin is known to be a potent anti-inflammatory, and there’s no doubt that many cases of back pain are caused by inflammation. Turmeric can help to improve the symptoms of back pain by fighting this. Curcumin is much more powerful when taken together with black pepper. This is because pepper contains a compound known as piperine, which helps to amplify the effects of the curcumin. Both of these herbs can be found at grocery stores, but many pharmacies and natural food stores sell supplements that contain both curcumin, in its extracted from, and black pepper to enhance its potency. If you have hurt your back, it’s possible that stretching might help you loosen up and regain some of your mobility. However, it’s also important to be extra careful if you’re going to try stretching it out, because you might make it worse. In some cases, stretching too hard can pull out your back in the first place. Make sure that you start with light, gentle stretching to test out your range of motion. If you experience anything painful, make sure that you stop and try some of the other methods on this list. Acupuncture is a form of medicine that has been used in China for many thousands of years. It involves interacting with the body’s energy meridians – subtle channels of energy that flow throughout our body. These energy channels can become blocked, and this can lead to conditions like chronic inflammation and pain. By telling an acupuncturist where you hurt and what else is going on in your life medically, they can help identify the source of the blockage and free up the energy that might be constricted. This can help you get rid of your back pain. Many naturopathic clinics have acupuncture available. Some places offer community acupuncture which is a much more affordable method of acupuncture. If you are experiencing back pain, exercise might be the last thing on your mind. However, there are some forms of exercise that might not aggravate the strain on your back, like yoga or light walking. But why would you want to do exercise to help your back pain? Well, one of the reasons is because exercise helps the body release endorphins. Endorphins – a word which literally means endogenous morphine – are compounds that the body produces to help combat stress and pain. By producing endorphins, you can help manage your own pain and reduce the discomfort associated with painful conditions. Massage therapy is one of the oldest methods of physical therapy around. By massaging the deep tissue of the body, as well as the bones, massage therapists are able to correct physical problems simply by applying pressure to the body. Make sure that you get a registered massage therapist, though. Anyone can give a massage, but if they’re not given properly, they can actually exacerbate the problem instead of healing it. Check your local naturopathic clinic. Meditation is an incredibly powerful practice that many people undervalue because it’s often perceived as simply sitting in silence. It is much more than that. By shutting out the noise of the external world, meditation allows you to become more in tune with yourself and your body. Aligning your mind and body is absolutely crucial for anyone who hopes to be in good health, and people with back pain are no exception. Not only is this good for strengthening the mind-body link, but meditation can actually help the body produce endorphins. As we have mentioned, endorphins are the body’s natural painkillers. A simple meditation is simply counting your breaths. Inhaling slowly for a count of one, pausing for a second after the inhale, and then exhaling for a count of one will be considered one breath. Pause after the exhale as well, and continue to do this for at least ten breaths. You’ll feel more relaxed and will likely have a better handle on your pain. Research has shown that there is a link between lack of sleep and back pain. This means that it’s important to get enough healthy, restful sleep to ensure that you’re not getting cramps in your spine because of sleep deprivation. If you suffer from insomnia, there are a number of herbal remedies that can help you manage the problem. Things like CBD oil, relaxing herbs like passion flower and gotu kola, and meditation can all help to ensure that you get a good night’s sleep. We have already mentioned that it’s important to get exercise to release endorphins, but it’s even more important to help make sure that you keep your core in shape. This is the best way to prevent back pain from occurring, but it can also serve to help fight existing back pain. 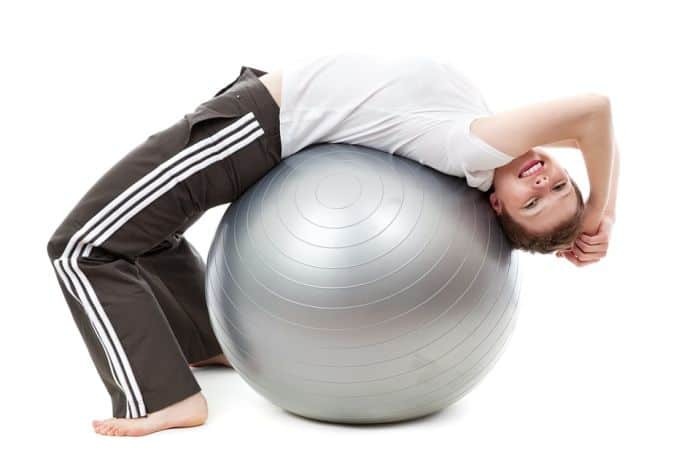 If you have an exercise ball, then there are tons of core-shaping exercises that you can do that won’t be too strenuous on your back. If you are able to do sit ups comfortably, these can also be immensely useful for helping to remedy back pain. Cold treatments are useful for treating all sorts of pain, ranging from arthritis to inflamed muscles in the back. Cold treatments work because they help reduce blood flow to an area, thereby reducing inflammation and sensitivity in the areas. Common methods of cold treatment include using an ice pack or a cold cloth. You can also just put ice in a bag if you don’t have an ice pack, but this might melt and make for a wet seating area. Ice packs can be found at most pharmacies. Hot treatments are just as easy to apply as cold treatments, but they work in a different way. 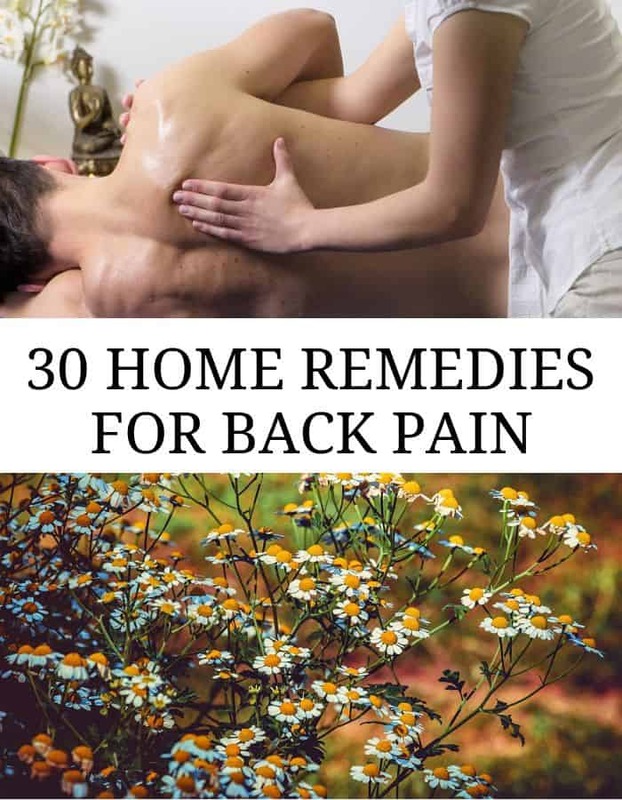 They generally increase blood flow to an area and help the muscles relax, which can be intensely relieving to anyone who is suffering from lower back pain. Common ways of applying heat to an area include using a heating pad, a hot water bottle, or a hot rag. The first two can be found at most pharmacies. Many people don’t stop to consider the influence of other joints, muscles or tendons and their impact on the lower back. However, the hamstrings are one of the most important areas of the body to keep in shape if you want to ensure a healthy and pain-free lower back. Tight hamstrings can cause your back to become stressed. Chronic stress in the muscles can lead to pain that can be quite debilitating. There are tons of exercises that can help to stretch your hamstrings. A simple stretch that’s easy for people who are suffering from back pain si to lie on your back with your legs on a 90 degree angle up against a couch or a chair. Ginger is a very powerful medicinal compound that’s not just used for soothing digestive upset. It can be very useful for relieving pain, both internally and externally. Mixing ginger into a hot compress and applying it to the affected area can be very useful for helping you reduce pain and inflammation. It can be found at any grocery stores, however, organic ginger from health food stores is undoubtedly a better choice. Gotu kola is one of the most important Ayurvedic remedies, period. There are so many different ailments that gotu kola can treat that it’s a little bit ridiculous. Anyway, gotu kola can also be useful for helping to treat pain by reducing inflammation. For people with back pain and arthritis, this can be immensely useful. Many people like to take gotu kola supplements, which can be found at health food stores and pharmacies. However, I much prefer to make my own tea with loose-leaf gotu kola purchased in bulk from natural food stores. Feverfew is a powerful herb that’s most well-known for its ability to reduce headaches and fight fevers. However, the mechanisms by which it does this also make it useful for helping people overcome back pain. 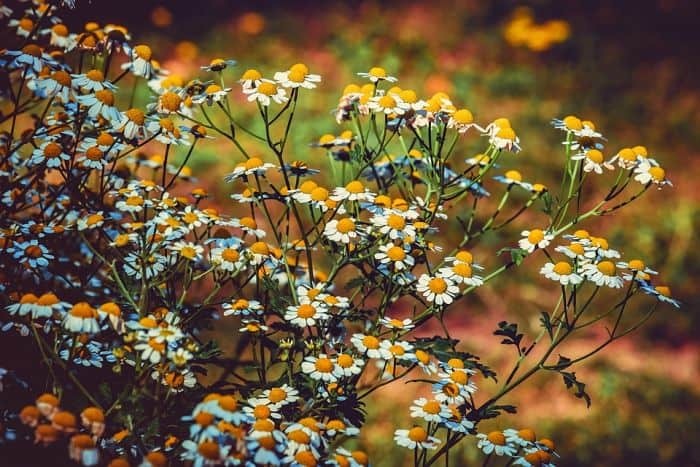 That’s because feverfew helps people fight inflammation and muscle tension, two problems that are quite common among people who suffer from chronic back pain. Feverfew can be found in some pharmacies and health food stores. Boswellia is an extract taken from the plant resin, also known as frankincense resin. Boswellia is widely used in India because it’s known to be a powerful anti-inflammatory compound that can help reduce pain from arthritis. Any compound that’s good at reducing pain from arthritis is also likely to be useful for helping people manage their back pain. That’s why we have included boswellia on the list. Supplements can be found in many health food stores, and some health food stores carry the resin itself if you care to try your own hand at making an extract. 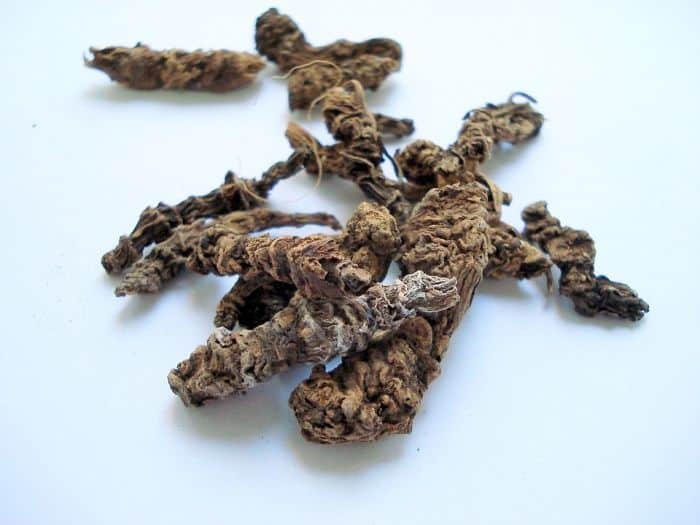 White willow bark is another herb that has been used since ancient time. It was one of the main medicines in the system of Hippocrates, which essentially founded modern medicine. Doctors still have to take the Hippocratic oath before being initiated into medical professions. White willow bark, which is frequently taken as a tea or ground up into capsules, has powerful anti-inflammatory and pain killing effects. However, it should be noted that it’s important to recognize your doses. If you take too much, white willow can actually increase the amount of pain and inflammation that you’re experiencing. If your back pain is so severe that you’re experiencing muscle spasms, valerian root might be one of the best things for you. Even if you’re not having spasms, the powerful muscle relaxing effects of valerian can be useful for helping to manage tension and pain everywhere in the body, including the back. Valerian is known to make people sleepy, so it’s best used at night or during a day where you don’t have a whole lot to do. It can be found in supplement form in pharmacies and health food stores, and many health food stores carry the loose root. You can recognize it from a dozen feet away by it’s distinct foot-like smell. Eucalyptus – in the form of an essential oil or the herb – is known for being quite an effective pain killer. It has an immediate, minty cooling effect that can be incredibly useful for numbing the skin and the muscles underneath the skin. Eucalyptus oil should be mixed with a carrier oil before being applied so it doesn’t irritate the skin in the long run. It can be found at many health food stores and in most pharmacies. Peppermint essential oil is known to contain a number of powerful pain-fighting properties, namely the fact that it is both an anti-inflammatory and an analgesic. Applying some directly to the area of your back pain can be very useful for helping to reduce any inflammation. Peppermint oil can be found in many natural health food stores and can be found in many pharmacies as well. Menthol, one of the main ingredients found in peppermint oil that is largely responsible for its medicinal benefits, is also available in many products, like salves and creams, that are made to help people overcome their pain. One of the most effective salves that I have ever found for helping manage pain topically is made with menthol and eucalyptus. I can’t remember the name, but I know it can be found at some pharmacies and natural health stores. Cat’s claw is one of the most powerful anti-inflammatory herbs on the planet. It’s known for helping gall manner of different back-related problems, ranging from simple back pain to herniated discs and spinal arthritis. If you get loose leaf cat’s claw from a health food store then you can make your own teas and tinctures with it, deciding on a dose that’s strong enough for you. Otherwise, supplements are your best bet, and these can be found in many pharmacies and natural health food stores. Lavender essential oil is a double whammy when it comes to managing pain. Not only does it provide most of the properties that the other oils on this list provide – analgesic and anti-inflammatory effects – but it’s also useful as a form of aromatherapy. When inhaled or used in an essential oil diffuser, lavender promotes feelings of relaxation and helps to fight stress. Many folks, particularly those who are missing work due to their back injuries, may find added relief from these mental health benefits of lavender oil. Lavender oil should be diluted in a carry oil before being applied to a skin. Lavender oil, and diffuser oils as well, can all be found in pharmacies and health food stores. Marjoram, and its essential oils, are known for being quite effective pain-relievers. The plant and its oils also provide anti-spasmodic benefits and can be incredibly useful for anyone who is suffering from back spasms. 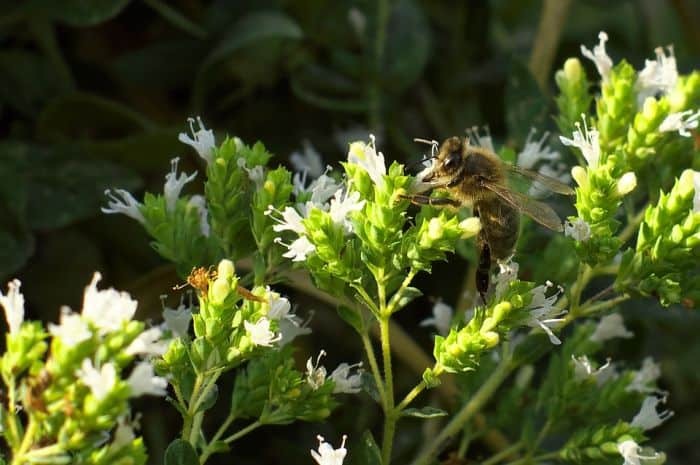 Marjoram can be made into a tea, and many places offer supplements containing marjoram. Marjoram essential oil can be found at natural health stores and anywhere that aromatherapy products can be found, like metaphysical shops. A more sinister sounding herb than cat’s claw, these two herbs actually share some similar benefits. Devil’s claw, which grows in South Africa, has been shown to be useful for helping to fight arthritis and inflammation. Devil’s claw is not as popular as cat’s claw yet, and therefore it can be a bit more challenging to find. Check the normal spots – pharmacies, in the supplement aisle, and natural health food stores – and if nowhere has it available, you can get it online. This powerful supplement has been shown to be quite useful for helping to enhance the strength of bones and joints. This can be immensely useful for someone who is suffering from back pain, especially if it’s caused by spinal arthritis. Most pharmacies will have some glucosamine / chondroitin supplements available. It’s important to avoid taking glucosamine with any medications that thin the blood like aspirin, or side effects might emerge. Bromelain, a compound that is found in abundance in pineapple, is known to have a number of great medicinal benefits. Of particular interest to people suffering from back pain, bromelain can help to reduce inflammation. Bromelain can be found in supplement form at some pharmacies. However, you can also get significant amounts of bromelain by eating pineapple or drinking pineapple juice. Fresh fruits generally have more nutritional value than preserved or juiced ones, so try finding a fresh pineapple at a local health food shop. Vitamin D is a wonderful nutrient for a number of things. Unfortunately, since it’s involved in so many processes in the body, vitamin D deficiency can actually cause a huge number of problems. One of the biggest problems associated with vitamin D is pain, or increased sensitivity to pain that is already present. People with back pain may find some benefit from taking vitamin D. People with lumbar spinal stenosis experienced impressive benefit in their pain levels simply by taking a vitamin D supplement. Talk to your doctor about taking vitamin D supplements, because even though it’s an important daily nutrient, it’s very possible to overdo it. Vitamin D overdose can lead to serious side effects and illness. The supplement can be found in pharmacies. Omega-3 fatty acids are involved in a number of bodily functions. They can help to improve cognitive function, enhance heart health, and – most important for this article – help to reduce inflammation. If you do decide to take an omega-3 fatty acid, make sure you get one that includes the proper balance of omega-3s, omega-6s, and omega-9s. You should be taking a ratio of about 2:1, or twice as much omega-3s as the other two fats. Imbalances of omega-3 fats in the body can cause just as many problems as a deficiency. Make sure you get a high-quality supplement from a natural health food shop or a quality pharmacy to prevent an imbalance. Kratom is a herb that has been subject to much controversy lately, and should only be used as a last resort when the other medicines listed in this article haven’t been effective. Kratom can be highly effective as a remedy for moderate-to-severe pain. The reason that kratom has been subject to controversy is because it is as effective as, and functions in a similar way to prescribed opiate drugs. Big pharma has actually been losing a lot of money by people switching off expensive painkillers and on to kratom, so they have lobbied against it. Regardless, if used safely, kratom is a much healthier alternative than prescribed opioids like morphine and oxycontin. It can be purchased online, and found in many head shops. Make sure that you confirm its legality in your state or country, because a few places have attempted to make it illegal. Back pain can be seriously debilitating, but fortunately it’s not necessary to run straight to the doctor to get medicated. You can make your own powerful medicines right at home, with a little bit of knowledge about herbs, supplements, and natural remedies. Hopefully this article has given you some awesome information about natural medicine, and good luck managing your back pain!